The Russian Ministry of Health has published a draft law on compulsory insurance against medical mistakes. However, experts point out that proving the fact of medical malpractice is extremely difficult in Russia. The Ministry of Health has drafted a bill for public consultation on insurance against medical errors. According to the bill, in case of death, a payout of 2 million rubles (around $70,000) will be awarded, announced the Health Ministry spokesperson Oleg Salagai. The main objective of the legislation is to protect the healthcare interests of the public. The bill introduces the concept of "medical error" — an act or omission that causes harm to a person's health, as Salagai explained. "Experts estimate that up to 40,000-50,000 medical errors are committed in Russia every year," said Salagai, adding that no national statistics on medical errors were kept. The U.S. does keep statistics, according to which 100,000 Americans die from improper treatment per year. The League for the Protection of Patients (a Russian association) suggests that, if Russia's population is approximately half that of the U.S., then there could be at least 50,000 of such incidences. According to Salagai, healthcare organizations will be required to insure patients, and the infliction of moral harm will not be grounds for an insurance claim. In case of death, the payout will amount to 2 million rubles; in case of first-degree disability, 1.5 million rubles; in case of second-degree disability, 1 million rubles; and, in case of third-degree disability, 500,000 rubles. If a child receives a disability, 1 million rubles will be paid out, reads the draft. The cost of patient insurance will primarily depend on the medical facilities, the healthcare products and the professional qualifications of the medical staff, according to the draft. In order to establish a causal link between a medical error and patient harm, a special commission will be set up on a “pro bono” basis. It will be formed of 7-11 people, including civil servants, representatives of patients' rights organizations and a representative of the insurer. The bill states that the premium for this type of insurance will be set by the government. The Ministry of Heath is planning to submit the bill to the government this summer and, thereafter, to the State Duma. The director of the Institute of Social Policy, Sergei Smirnov, sees two main issues that the bill fails to address. "First, it is not clear what the source of financing these payments will be. It will either come from the budget — most likely federal, not regional. Or, I suspect that a possible alternative would be a hike in regular insurance premiums for ordinary citizens to cover the cost of medical errors," said Smirnov. "And there probably needs to be a scale to cover the wide variety of different situations. It's one thing when the patient is in the fourth stage of cancer, but another when it's just appendicitis,” he added. 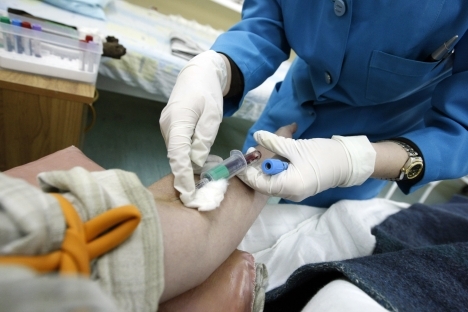 "The second fundamental question is how easy it is in Russia to prove medical negligence. In my opinion, given the corruption in our society, this is very difficult to do. Until there is an independent commission for reviewing medical matters — like a bar of lawyers, for instance — any talk of institutional initiatives in the field of health care will be hot air," Smirnov said. "The main problem with today's legal proceedings is the process of proving harm. But it is this very process that is not prescribed by law, but farmed out to medical associations — i.e. to colleagues of the selfsame doctors," Andrei Khromov, public council and chairman of the Society of Patients' Protection told Vzglyad. "Who will decide whether or not the physician is to blame? The bill states that the court will issue a verdict on the basis of an evaluation of the professional activity of the medical specialist in question, which is to be conducted by independent experts from the Russian Medical Association and its regional branches,” said Khromov. “Hence, the bill effectively removes medical institutions from the proceedings, while the patient who suffered medical negligence will in fact end up in litigation with the insurance company. But no insurance company wants to pay out compensation, and they can use their financial clout to hire the best lawyers," said Khromov. Therefore, Khromov believes the bill will not only fail to ease the social tension caused by reduction in the quality of health care, but it will actually aggravate it.